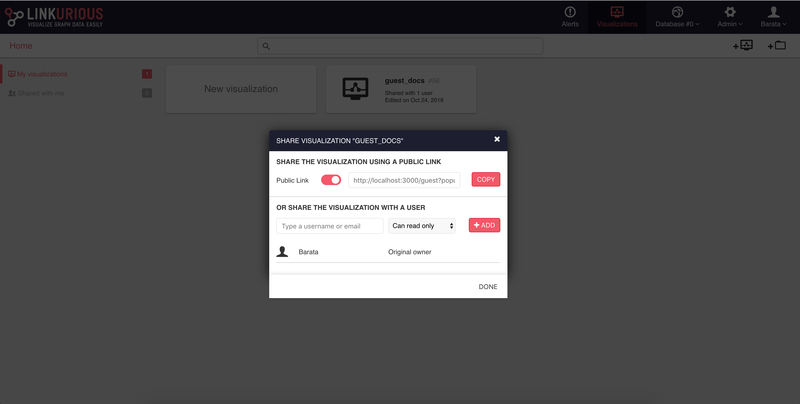 "Public link"-sharing: the Guest mode is very similar to the option found in Google Documents and many other applications. You get a URL that you can share to people that don't have an account on Linkurious Enterprise. The Guest mode is available once an Administrator has enabled it. 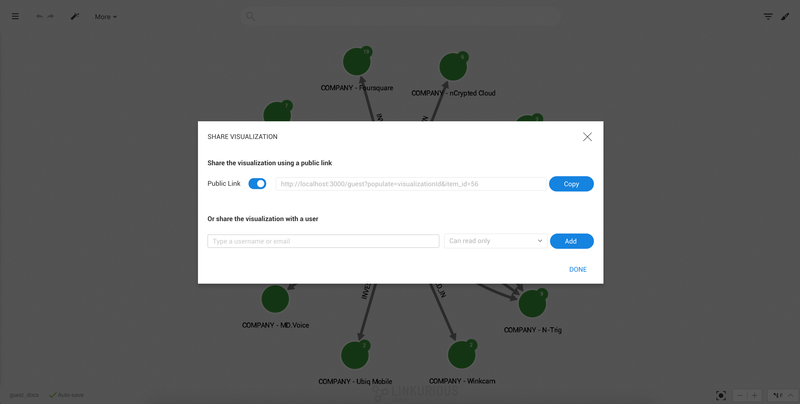 Enable Public link sharing for that visualization by clicking on the Public link toggle button. 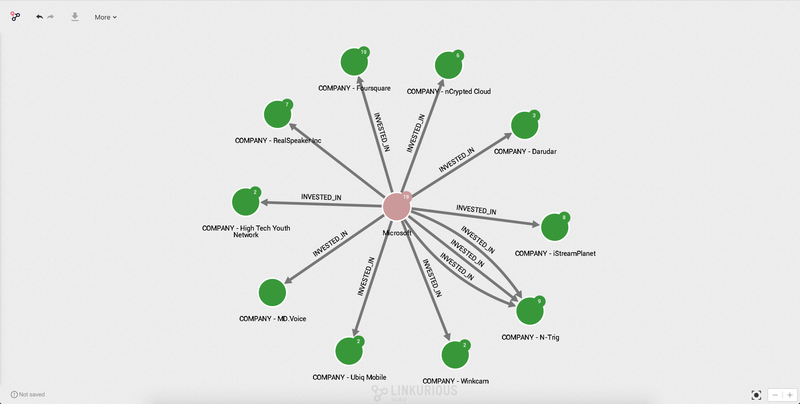 Send the URL to whoever you want to share this visualization with. 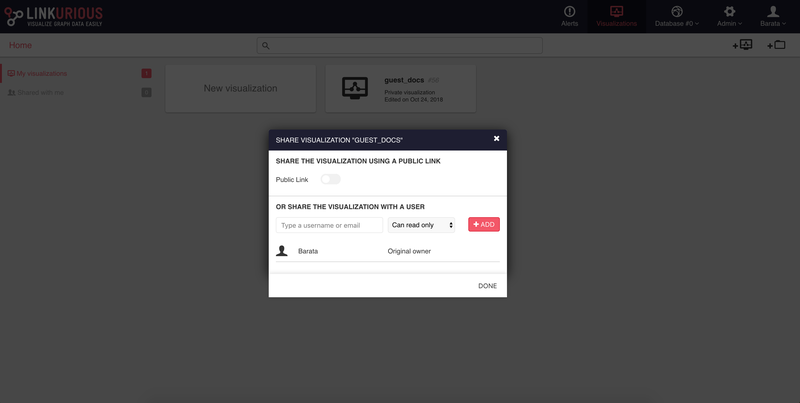 Clicking on the URL the person you sent it to will access a simplified workspace initialized with your visualization. People that you share a visualization with can explore the data beyond the nodes and edges that are in your visualization. 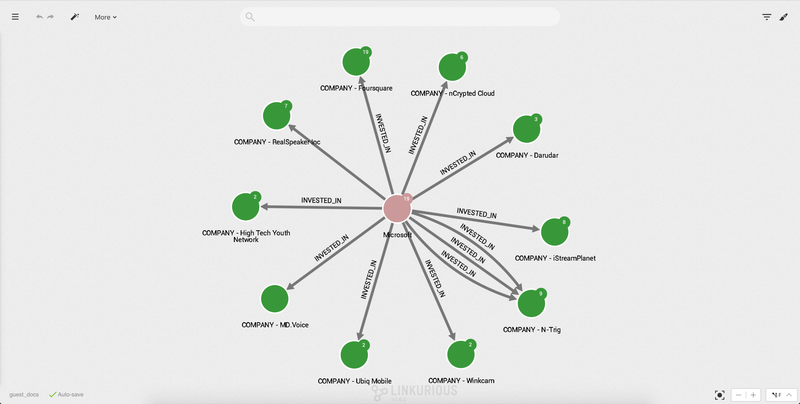 Make sure you are not logged in to Linkurious Enterprise in that browser. Log off is necessary. If you feel there might be a security concern, please contact your Administrator.